As we have mentioned, the existing cable, while currently carrying the load of the Island is compromised. 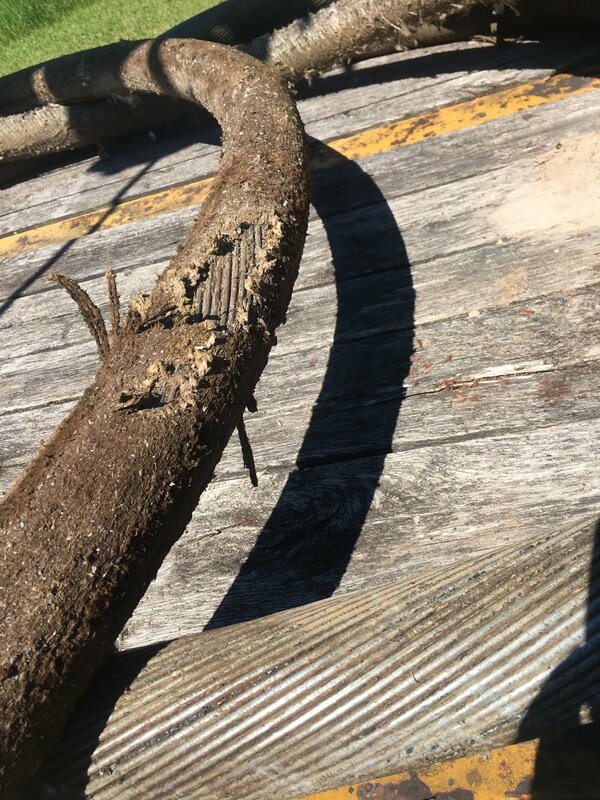 Not only are there two splices installed, but the 40ft section of cable that was removed shows clear evidence of ice damage along its entire length and it can be reasonably assumed that this damage continues for an unknown distance on cable left in place. We have been working with US Fish and Wildlife to gain permission to cross Plum Island. This is the preferred route for a number of reasons, not the least of which is that this route historically, while subject to shore ice (the cable would be buried deep enough to be safe) it has not been subject to Ice Shoves in the vicinity of the near shore landing points. There is a significant process involved in obtaining this permission, however they are working with us and we will hopefully be able to make this happen. Kerite has informed us that the 20,000ft route could not leave manufacturing until most likely mid-January, but manufacturing the two shorter (approximately 8500ft) cables required for the Plum Island route could be completed as soon as the first week of November. Shipping of the cable also becomes an issue as the longer length would need to be shipped by rail, which could take as long as 30-45 days and the shorter lengths could come by overload truck much quicker than that. 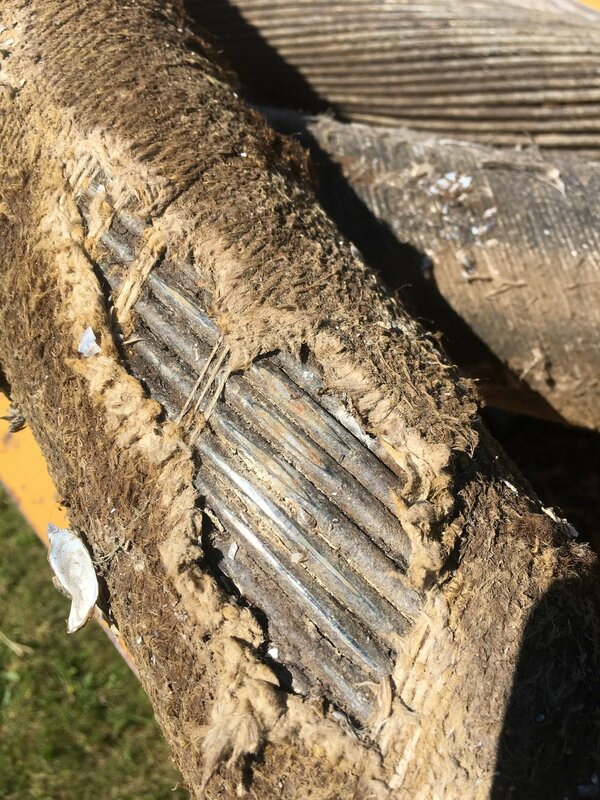 We are working on obtaining a general permit from the DNR for the installation of the cable and a permit from the Corps of Engineers as well since they have jurisdiction on the water crossing. The original installation did not require a permit from the DNR and was installed based on State Statute. This statute still stands, however we believe it to be in the best interest of the Cooperative and the Island to work through the DNR for permitting. 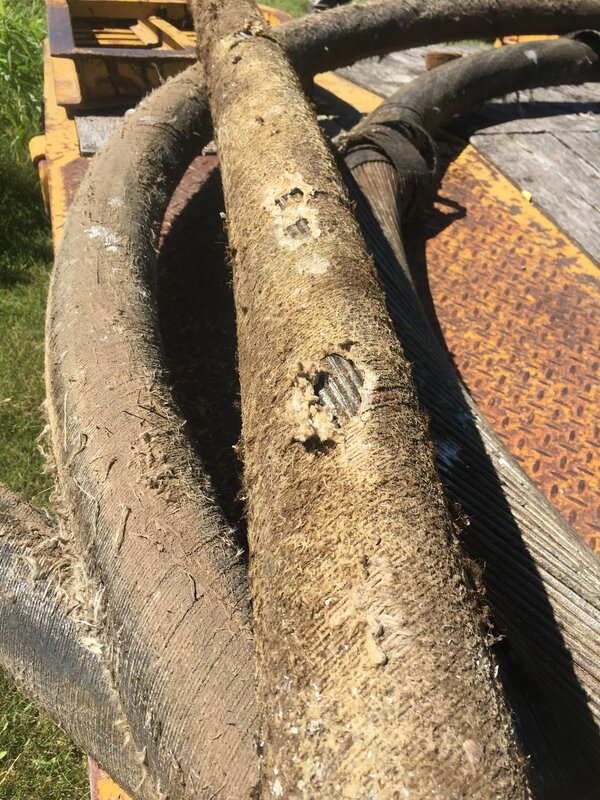 If we are able to get permission from US Fish and Wildlife, we expect work to begin on Plum Island in September or October with submarine cable installation to begin once it arrives and is loaded on the barge. In addition to these listed efforts, we have been pursuing all avenues for assistance with what are already painful repair costs and even more painful replacement costs. Nothing we are doing guarantees assistance and we are proceeding as if we will have to pay the entire bill ourselves, however, we are leaving no stone unturned. One route that we have chosen to follow is an emergency/disaster declaration from the Governor’s office. We have had a large amount of support from all levels of government. Congressman Mike Gallagher visited the Cooperative on Sunday, July 1st to hear firsthand about what we have been through and what is to come. We asked Door County Emergency Management to declare an emergency based on a threshold per capita cost in the county of this project. This then gets moved up the chain to the State Emergency Management Folks and eventually to the Governor for his consideration. The Town Board approved a resolution of support for the Cooperative and asking the Governor to follow through on the disaster declaration. The County Board Chairman and Corporation Council then immediately followed through with a letter of support and scheduled a resolution to be acted upon at a future meeting. Representative Kitchens and Senator Frostman wrote a joint letter to the Governor asking him to consider the declaration. We have been in contact with Senator Johnson and Senator Baldwin’s staff and they are waiting to support our efforts. We have had former Speaker of the State Assembly John Gard advocating for us as well. Some of these contacts have been facilitated by the Wisconsin Electric Cooperative Association, some by Bob Atwell and some because of relationships your Cooperative has developed over the years. We have a lot of horsepower in our corner. It is important to make clear however, that even with an emergency/disaster declaration by the Governor, financial assistance is not a sure thing. It does draw attention to our plight and gets more help digging into possible avenues at both State and Federal Levels as well as some potential regulatory/permitting relief. Governor Scott Walker approved a disaster declaration for Washington Island on Friday, July 13, 2018. We will keep you apprised of developments as we are able.